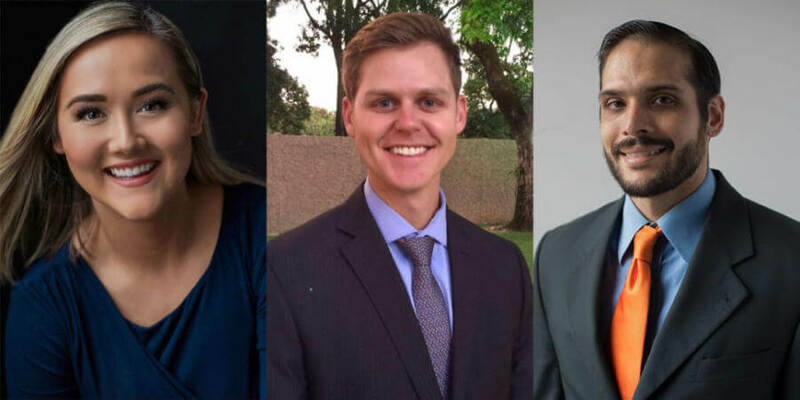 The Texas Business Hall of Fame Foundation has awarded scholarships to three outstanding MBA students in the St. Mary’s University Greehey School of Business. The scholarship winners are Veronica M. Gaskey, who will receive the Carlos and Malu Alvarez Scholarship; John Matthew Holland, who will receive the William E. “Bill” Greehey Scholarship; and Joseph Marina, who will receive the Harvey E. Najim Scholarship. The Texas Business Hall of Fame Foundation recognizes exceptional graduate and undergraduate business students across Texas who exhibit entrepreneurial drive and leadership spirit. Award recipients each receive an unrestricted $15,000 scholarship from the Texas Business Hall of Fame Foundation during its 35th annual induction dinner in November.